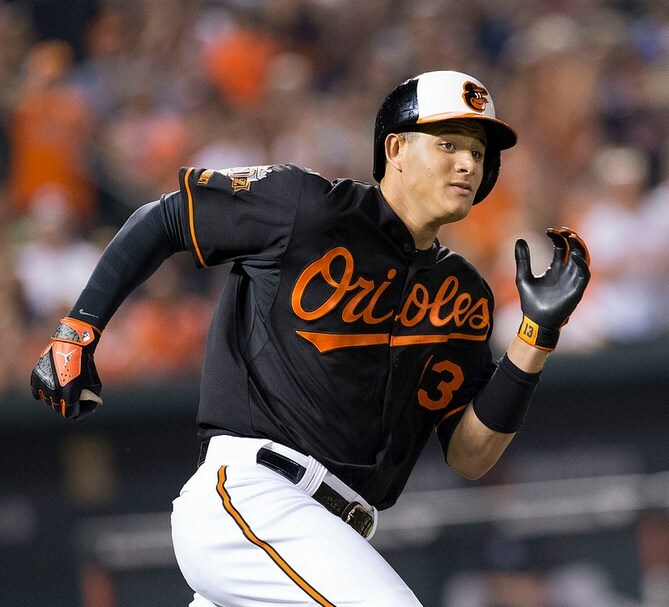 As far as position players go, Manny Machado is the lone torch-bearer of the Jordan brand on the baseball field. 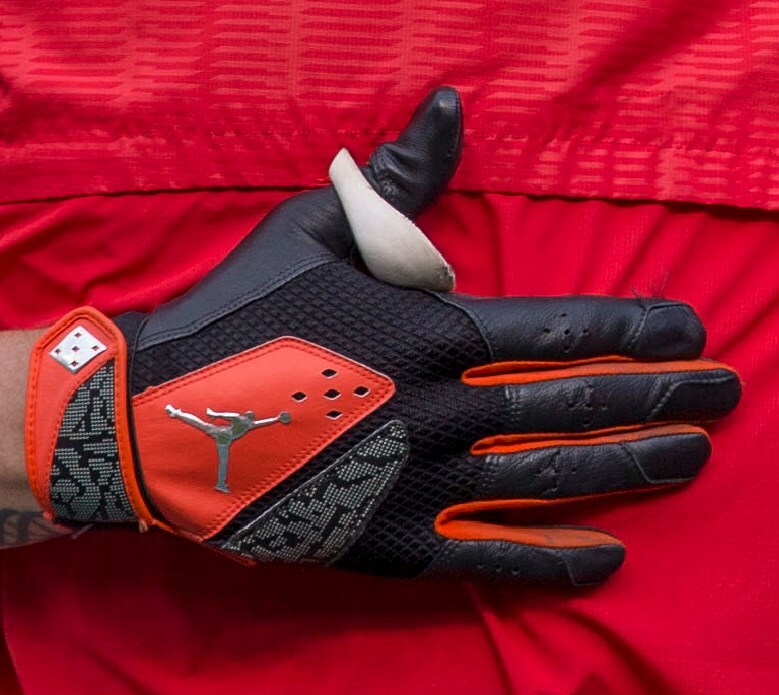 It looks like Jordan has given up on batting gloves, but Manny’s still got some older models with sick colorways to match each uni. 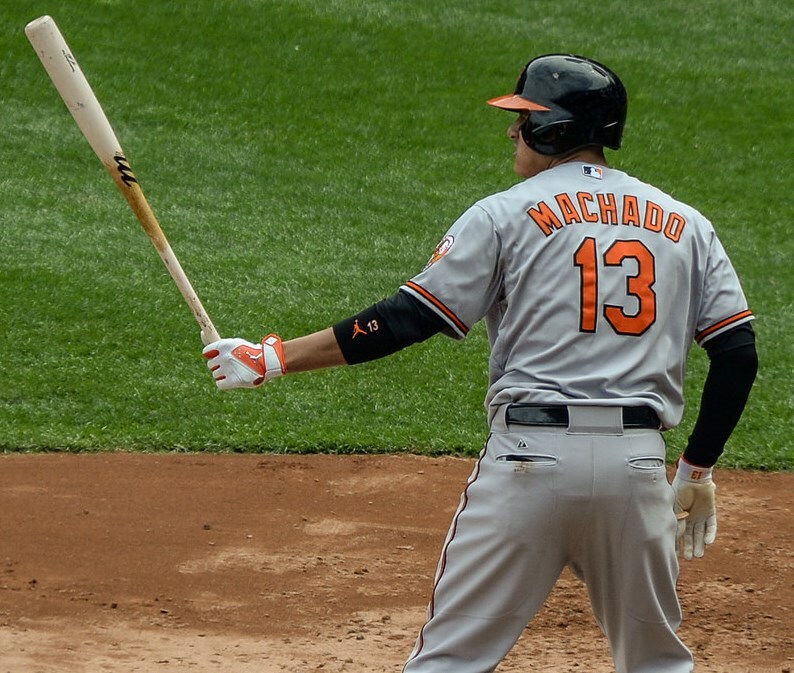 He’s got orange and black and orange and white (that we’ve seen so far). You won’t find these online.